Please note that this property is offered to INVESTORS ONLY. Any potential purchaser will need to sign a waiver agreement at point of offer allowing the current tenant exclusive rights to reside in the property RENT FREE for a LIFETIME PERIOD. This is non negotiable. Details of the current tenancy can be discussed with the Benjamins Local Office for clarification of these points. 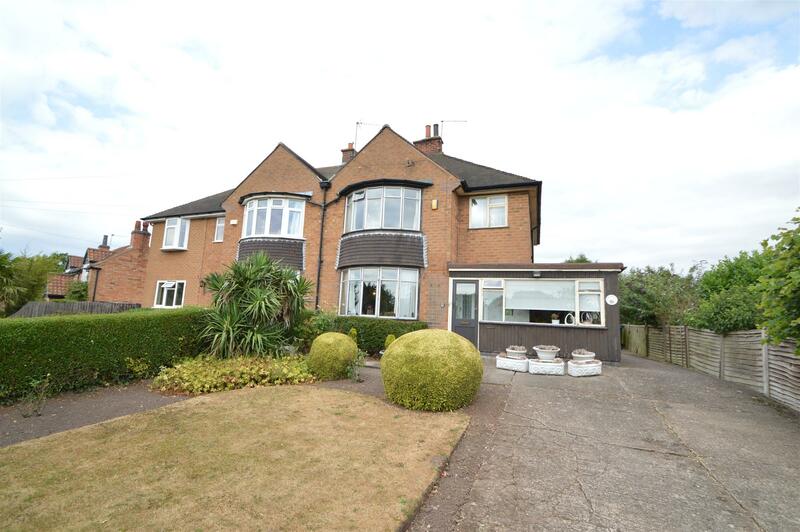 The property is offered below market valuation, taking in consideration of the constraints held above. Take the main A606 Melton Road from Nottingham passing through Tollerton and turning right towards Keyworth and into Plumtree. This property will then be seen on the left hand side and will be easily identified by our For Sale board. Plumtree is a popular small Village some 5£ miles south of Nottingham and some 1£ miles away from Keyworth which has excellent amenities including good shops, medical centre, sports facilities and public transport services. Plumtree offers quick and easy access by car to Nottingham, Leicester, the M1 and the East Midlands Airport. Standing on an elevated site with open views to front and rear, we thoroughly recommend internal viewing of this semi detached property to appreciate the extensive accommodation. With a range of floor and wall mounted kitchen units, with working surfaces, single drainer stainless steel sink inlay with single taps and tiled splashbacks, space and plumbing for washing machine, space for fridge freezer, concealed pantry area, range cooker. With plumbing and space for washing machine and dryer. With bay window to front aspect, built in cupboard. With window to rear, and built in wardrobe and vanity unit. With window to front aspect, and built in cupboard. With White suite comprising panelled bath with shower over, pedestal wash hand basin, part wall tiling, window to rear aspect. window to rear aspect, low flush toilet. At the front there are privet hedges, flowerbeds with surrounding walls and steps upto the front door. The rear garden adjoins open farmland and is fenced in. There is a lawn, established trees, a garden shed.